technique through trial and error. and about 16,000,000 other sites with a Google search engine. for construction of electronic circuits. the techniques together to build something. don't like? How about expense to get started, other than the parts? Ugly. Requires a supply of high valued >1Mohm resistors for standoffs. the pads and let them set. PCB. Layout time. AND, something no one bothered to mention. Drilling a lot of holes and getting them all centered is a royal pain. kill it with backing soda when you are done and flush. to determine why I could not get constant startup on a VXO in a project. I laid the project out and what software did I use and how I wrote it. method to make a PCB. called PDFjam for linux and is most likely available for windows. OK. 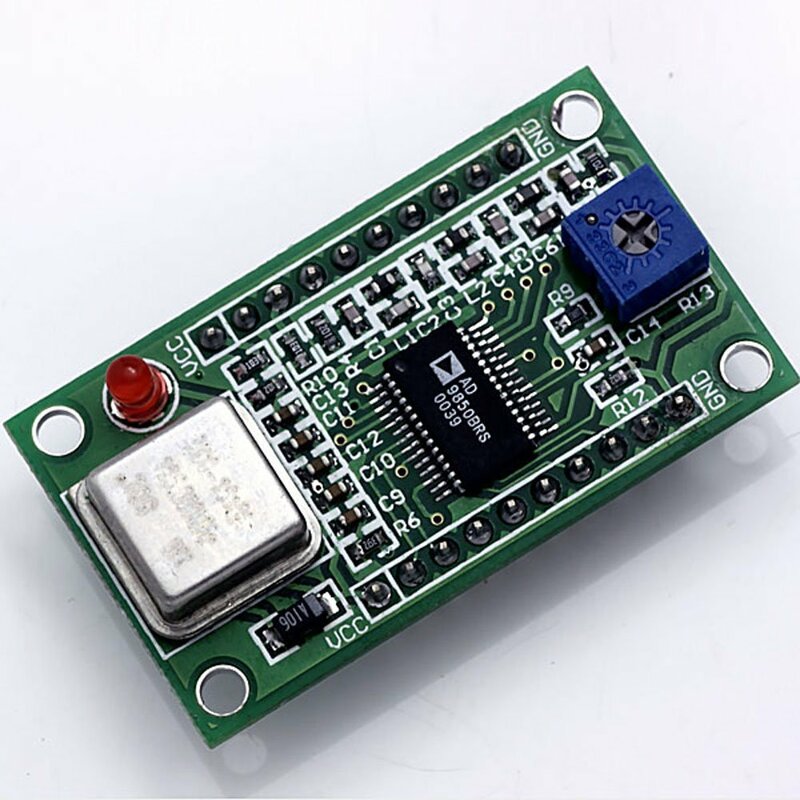 Here is the most valuable tool for PCB layouts. will look almost exactly the same. Try it. You'll like it. hoops to get the same layout to you or any one else. <http://www.k7qo.net/p4120008.jpg> See how neat the transistor sits? Ugly mods and add ons or replacements for larger projects. Manhattan pad placement for mods, add-ons, etc. in debugging something years later. And just as an experiment. I promise not to cheat. 1. Project 001. The HP 8640jr project. 2. Project 004. 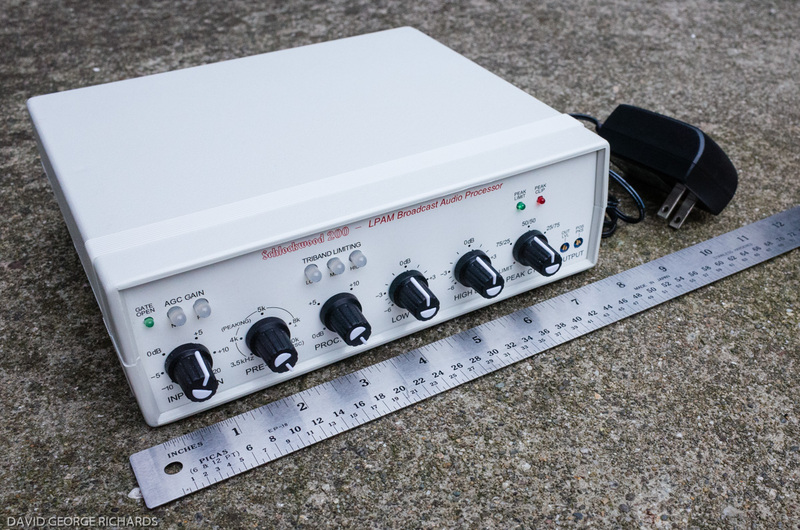 The G3UUR xtal osc and parameter fixture from QQ. AZ QRP luncheon just down the street at the burger place. I just bought one of these. I hope to hook it up to an Arduino and turn it into a VFO. Or a signal generator. Six bucks! A few years ago Alan, VK2ZAY, showed Billy and me how to make a very simple DC motor. This one looks even simpler. I'm guessing that the bottom of the coil is making intermittent contact, setting up flux lines that get torqued by the magnets' field. 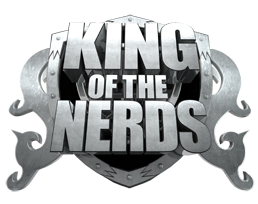 Are you a super fan of STAR WARS, STAR TREK, GAME OF THRONES, LORD OF THE RINGS, or BATTLESTAR GALACTICA? Are you a GAMER who owns every console and maxes out trophies and achievements? Do you have an outrageous collection of TOYS and/or COMIC BOOKS? Are you passionate about MATHEMATICS, PHYSICS, or BIOLOGY? Do you build ROBOTS or PROGRAMS for fun? Are you obsessed with SUPER HEROES? Are you a D&D or WoW fanatic? Do you love everything SCI-FI? Are you ARDUINO proficient? Do you know at least 100 digits of Pi?Is your IQ at least two standard deviation above the mean? Do you consider yourself a GEEK or a NERD? Submit a tape and possibly win 100K. AA1TJ Crosses the Pond using an Electric Razor! Take a look at Michael's Razor Rig, made from parts salvaged from his electric razor. I was thinking that perhaps on the receive side a fox-hole receiver made with a rusty Gillette blade would fit in nicely with the shaving theme. Very glad to see the AA1TJ blog getting more active. 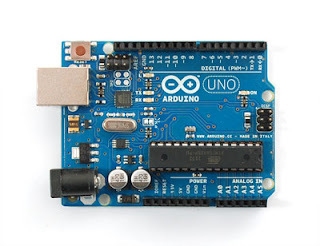 Arduino, K6HX's code, and an RBN (minimum) speed limit? Hello Mark: I've been using your code. Very nice. Easy to use and modify, even for a digital dunce like me. 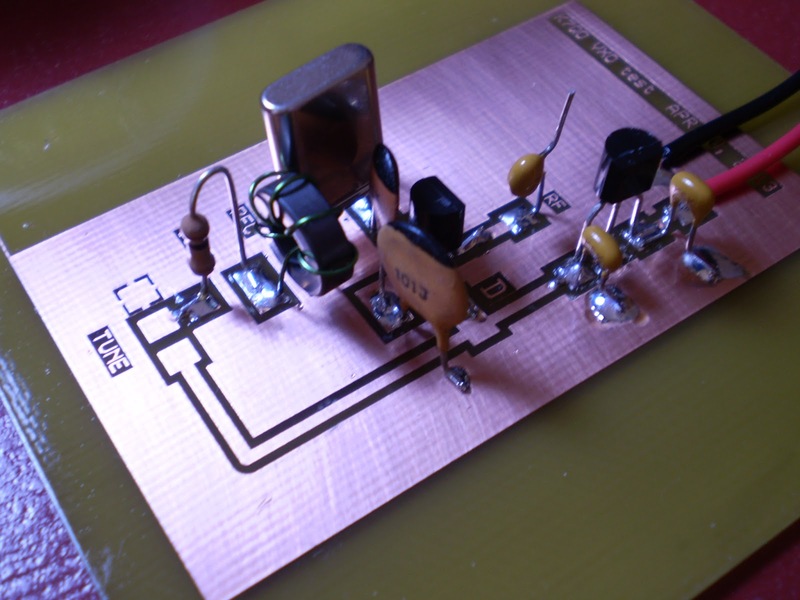 I've been using an Arduino and your code to key my 20 meter QRP transmitter. I watch the Reverse Beacon Network to see how I'm getting out. I think your code let me discover something about RBN: there may be a lower "speed limit" on the skimmers. I noticed that when I left your code at the default 12 wpm, I was not picked up by the skimmers. When I called CQ the old fashioned way (with my hand!) at 15 wpm I got plenty of spots. This morning I changed the speed setting on your code to 15 wpm and -- sure enough -- immediately got picked up by an RBN station. Anyway, thanks for the code and for your Brainwagon blog. It has been a long time since I have written to you. I’m the ex-smokejumper up here in the great winter wonderland known as Montana. I thought I’d drop a quick note to say howdy and fill you in on the crazy string of events that happened this afternoon. To refresh your memory…. 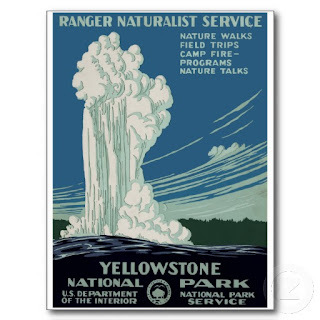 I stopped jumping fire in ‘09, I have continued to be employed with the US Forest Service as a radio technician. Part of my duties is to do annual maintenance on all of the Gallatin National Forest VHF handheld radios. So every winter I update the programming and check the VCOs, RX specs, modulation, and TX power on about 250 handheld radios (luckily the USFS provides me with a handy Aeroflex 3500 service monitor that speeds up this task, but I digress). Anyhow I had finished programming and tuning a large batch of radios and today I was making my rounds to deliver them to the various offices. 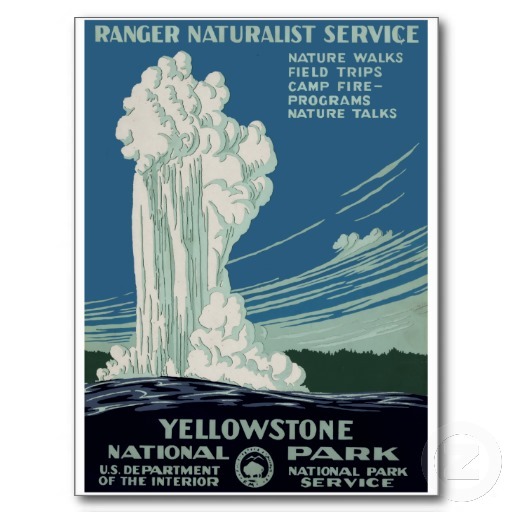 My route was from Bozeman (where my shop is) to West Yellowstone (where I used to jump out of) … through the North side of Yellowstone Park to Gardiner), then following the Yellowstone river north up the Paradise Valley (where I grew up as kid) to Livingston (where I live now). I must say it’s an absolutely beautiful drive that took me to 6 of my delivery points. This time of year Yellowstone Park is closed to normal traffic, but official Gov’t use is permitted, so you see very few other vehicles, it’s a pretty neat time of year to be in the Park. Continuing….I stopped at the smokejumper base to deliver their radios and visited with some of the “bros” for a bit then headed on my way. As I drove off I was thinking of my very last fire jump in Yellowstone and it reminded me that I had written to you back in ’08 about my last jump and listening to “Soldersmoke” while waiting for my ride home. So today as I drove on through the Park I turned on the old Yaesu FT-747 that I installed in my work truck to accompany me on some of these long drives. I did not have the mic or key with me, so I was “voiceless”, but I put the 20m stick on my hustler antenna and turned it on anyway. 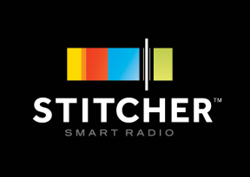 I enjoy tuning in to some CW while driving and just listening to random QSOs to make use of my drive time by honing my CW skills. Just after I turned on the radio I heard some a W7 station calling CQ and listened for a while in hopes that it might be W7ZOI, I always am listening for the callsigns of the QRP gurus out there, no luck though it was not Wes. I continued listening for quite a while. On the final leg of my trip from Gardiner to Livingston, I was just north of Yankee Jim canyon in Paradise Valley when I heard a very rhythmic CW pattern. It was almost musical sounding, so I tuned it in good, put the narrow filter on and listened. It sounded like the OP was using a Vibroplex bug key, due to the long dash patterns, but the way he keyed it was almost like CW R&B..it was a little tough to copy but fun to listen to none the less. Anyhow as I continued listening, his callsign was KC0MTC in Des Moines, IA and you can guess who he was talking to…none other than yourself, N2CQR!! I couldn’t believe I had just been thinking about “Soldersmoke”, in fact I had even checked the podcast on my iPhone before leaving West Yellowstone to see if a new podcast was posted yet. Then a hour or so later, I hear you live on 14.058500 MHz. What are the chances. I was frantically thinking of a way to jury rig a cable of some sort to plug into my key jack. I was hoping you would make another contact so I could pull over, take a 15min safety break, rig up a key out of headphone cable or something and give you a call by touching the wires together. Unfortunately, you disappeared right after the QSO with KC0MTC. I think you went QRT after that. I tuned all around the CW portion of 20 searching but no luck. You were just above the noise this evening, which is quite high S3-4 due to the engine noise in my mobile. You were readable most of the time but dipping into the noise occasionally. I heard you tell him you were QRP but missed the power level you were using. I’d give you an RST of 549, this was about 1730 MDT. Not bad at all for QRP and 1800 miles or so….KC0MTC was booming in a solid 599. Thanks to info from Leif, KC8RWR, about the purpose of the chip that was heating up on my Arduino board (an LM386 used to determine which socket was supplying voltage for the board) I decided to try just taking the hot chip off the board. This afternoon I fired up my reflow station and blew some 466 degree F air on that chip. It came right off and the Arduino appears to work just fine without it. This was only a semi-satisfying repair. It would have been much better if I'd really known what I was doing, and if I'd really known what was going on with that chip. The removed chip is up by the tip of the pen (TOO SMALL!). The transistor and the relay that keys the transmitter are on a piece of PC board above the Arduino. That Arduino called CQ for me on 20 meters tonight -- Mel, K4JFF, in Georgia responded. Thanks Leif! And thanks again to Mark, K6HX, for the code. I've succumbed to the lure of the tiny computers and microprocessors. This weekend I was playing with the Arduino that I bought (supposedly) for Billy. You see, I have a little microprocessor-based keyer in my ten meter beacon rig (Demaw's "Lil'Slugger") . It works fine once you get the desired Morse sequence into it, but getting that done is difficult and frustrating for someone (like me) unaccustomed to an iambic keyer. 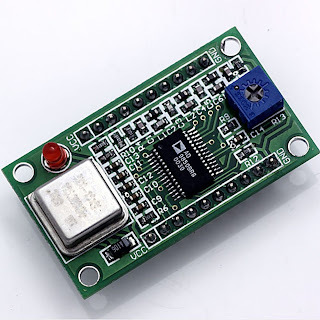 So I was thinking that this would be easier just to replace the keyer with an Arduino. I was right. With some help and advice from Billy, I got the Arduino going, and got the little LED blinking. Then I took some code from Mark K6HX, modified it for my call-sign, and loaded it into the Arduino. No problem at all. Kind of fun. And it opens your eyes to all the possible applications of this little board. Hello Bill, It has been a while! I don't know if you remember but I emailed you back in September 2010, introducing myself as a fellow amateur listening to your podcasts. 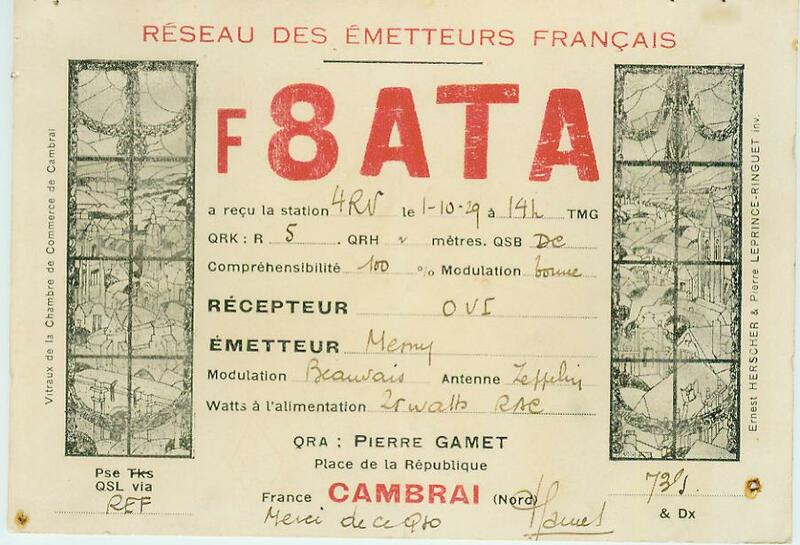 I had just moved from France and received back then my FCC vanity callsign K3DY. It took me a while to get my ham shack back together but finally I was on the bands again! Recently, I started re reading your book, very inspirational. Since my very first license (as F8CKH) at 16, my interests have always been into the design / homebrew as well as QRP & CW. Why on earth would a teenager do that? I think I have the knack. My motto is: "Don't turn it on, take it apart!!!". Anyway, it has been a lot of fun to work on some various projects (the one in progress now is a LC meter using a LCD display and a PIC 16F627). It took longer than expected to get to that point as I had to work on a PIC programmer interface as well as refresh my C language programming skills! I recently discovered that mouser is offering some nice project enclosures. 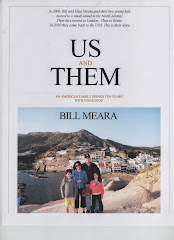 In the past, my finished products were kind of "ugly" (to the average Joe not us of course!) so I am trying to work on that. 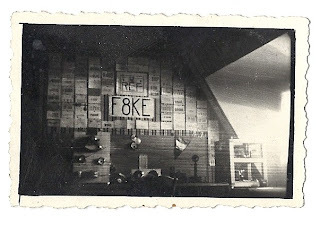 Oh also, last time I emailed you, I talked about my grand father EF8ETA, F8ATA then F8KE in the late 20s and how seeing his electronic lab and radios when I was 7 or 8 inevitably changed my life! After all this, I - had - to get my license and get involved! 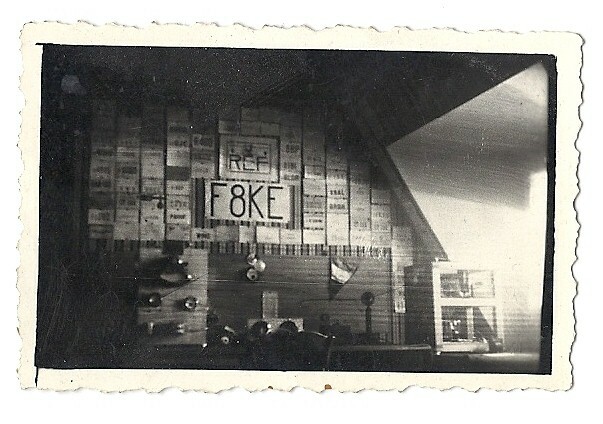 My father, also a ham, emailed me a picture of F8KE's shack in 1929/1930. My grand father was at the time 19 years old. 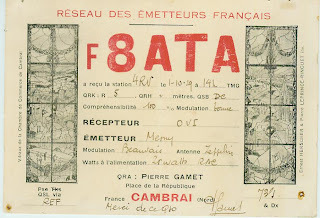 Also attached to the email are two scans of his QSL cards dated as well 1929 or so. 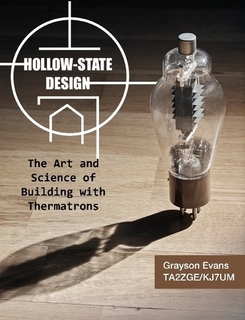 He was using a classic design for the era, based on a Hartley Oscillator. I am trying to imagine how it was to get the knowledge back then on how to build a station (TX, RX, antenna) but also how to get the parts! When people now complain that they can't finish up a homebrew project because they can't find a FT50-3 core, well they should think of how it must have been almost 100 years ago. Wannabe-Choppers from Thorsten Indra on Vimeo. We were searching for this last year. Oleg, RV3GM, finally found the schematic for the transmitter in the Sputnik satellite. 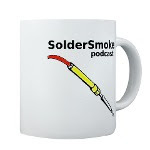 SolderSmoke Podcast #151 is available.